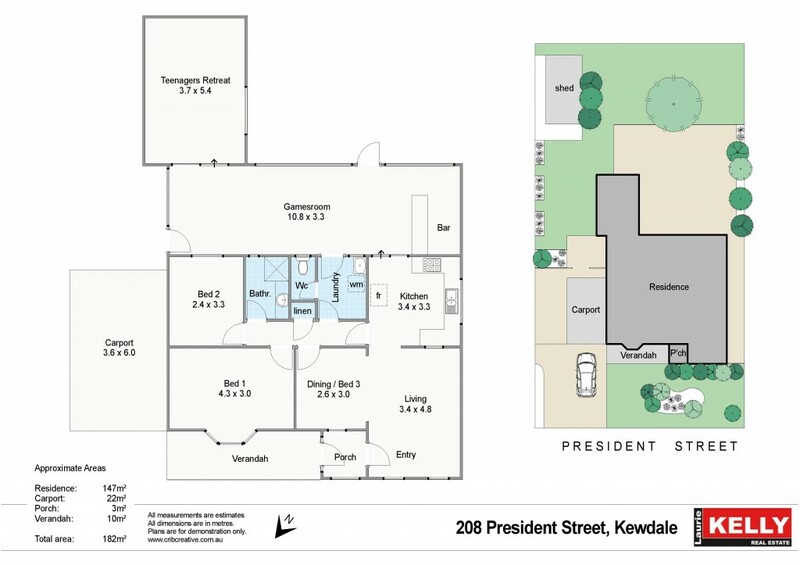 Under strict instructions for immediate sale, this would have to be one of Kewdale's better buys in quite some time! This rock sold Brick & Tile home, which has been somewhat neglected, straddles a large rectangular 769sqm block with a 19.11m frontage and offers an outstanding future building block or an excellent first home. -	Zoned R20 - but who knows in the future given the City of Belmont's progressive stance in re-zoning over the last 20 years. Within crawling distance of popular and picturesque Tomato Lake and the lesser known but equally as beautiful Peachey Park. Also on local bus route. 208 President Street is sure to have many admirers. For more information contact selling agent KIM FINDLAY on 0404 461 174.